Sitting just off The Strand, The Savoy Hotel’s impressive façade is flanked on either side by topiary representations of the hotel’s mascot, Kaspar the cat, a charming relic from the hotel’s long history as one of London’s top hotels. The original Kaspar is an elegant Art Deco sculpture by Basil Ionides, created in 1926 to ward off bad luck by taking the fourteenth place at dinners for thirteen people. In these situations, the sculpture has a napkin tied around his neck and is served each course so, when the former River Restaurant was refurbished in Art Deco style in 2013, it seemed natural to name it after this historic mascot, especially considering that any cat would be happy to lend its name to a restaurant serving such delicious fish. 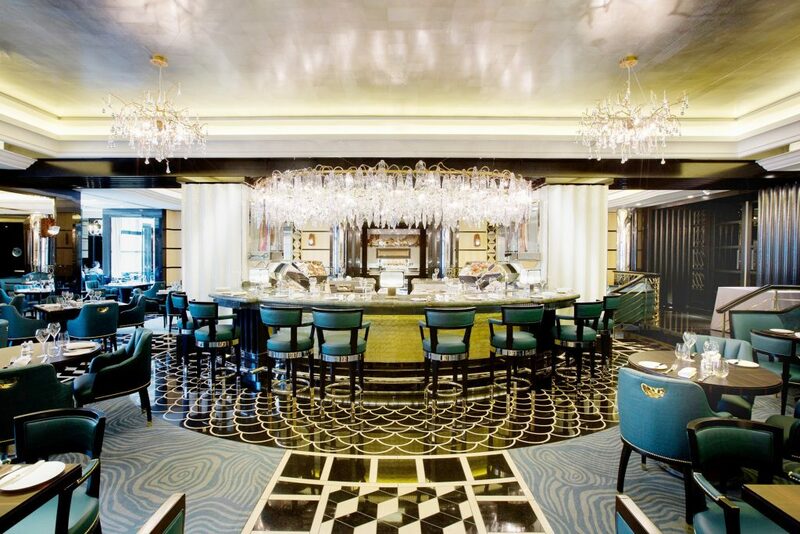 Arriving at the hotel from the street or – as we did – coming from The American Bar, one must pass through the grand marble and mahogany lobby and the glass-domed outside-in Thames Foyer. 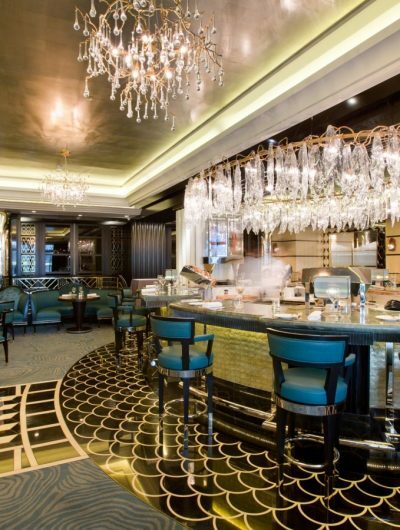 These areas are very distinctly designed and the restaurant is no different, paying homage to the Savoy’s Art Deco architecture by capturing a cool 1920s pizzazz. 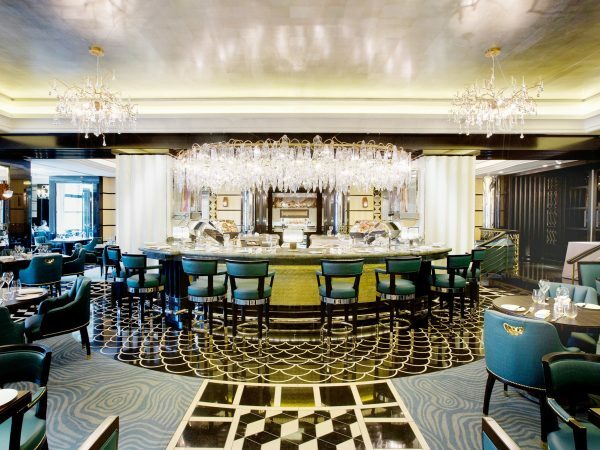 Alongside the obvious Art Deco touches, there are sparkling black and gold fish scale floor tiles, sumptuous teal seating and a central oyster bar with a hanging light fixture that is somewhere between a cut glass chandelier and a shower of ice shavings. A new Kaspar oversees proceedings from his seat on the bar and Head Chef James Pare oversees the kitchen. Our table was by the window that faces the Thames; although the river itself passes behind some rather large trees, it is possible to see some iconic London landmarks, including Waterloo Bridge, the London Eye and Cleopatra’s Needle. We were shown to our seats by the charming maitre d’ and were quickly placed into the very capable hands of lovely waitress Christine and amazing head sommelier Aristoteles. We began with a glass of Gatinois Tradition Brut Grand Cru NV, from a small champagne house that neither of us had previously sampled, which turned out to have a light, rosy flavour. We opted to start the meal by trying two of the smoked and cured fish from the seafood bar – but on Christine’s advice this quickly became four, namely the genuine wild smoked Scottish salmon, the hot smoked sable fish with paprika, the citrus cured wild sea bass and the peppered cured monkfish. This last was a standout favourite, the immaculate slices of meaty monkfish given sharp vibrancy by the savoury, pepper crust. Our starters were a wild sea bass ceviche with confit octopus and mango, and six snails in the traditional herb garlic butter. The ceviche dish consisted of a slivers of tropically scented mango alongside slivers of the citrusy seabass, with small chunks of tender octopus and a micro herb garnish. Fully intending on sharing both plates, we ate the ceviche first so that the juicy and impossibly garlicy snails wouldn’t overpower its fresh, delicate flavours. Our wine was a perfect choice by Aristoteles, a mellow Pouilly Fuissé, Domaine Cordier, that brought out the sweetness of the mango in the ceviche but took on a crisp clean character when imbibed with the snails. 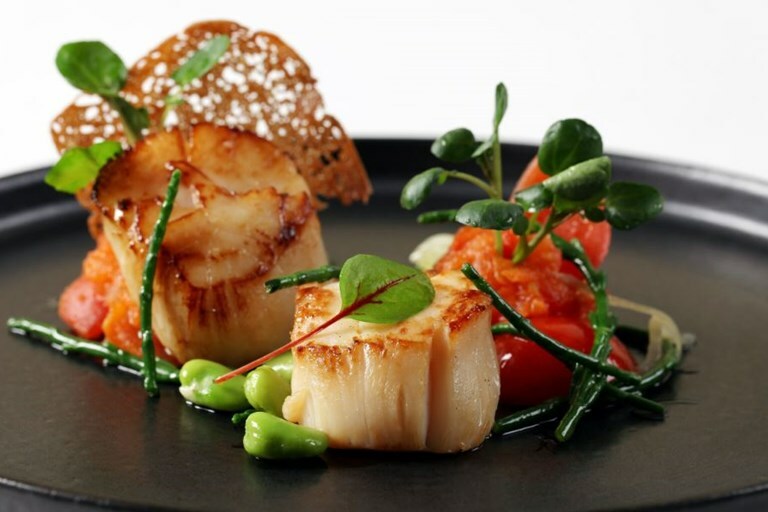 Unable to resist in the opulence of our surroundings, we decided to share an Isle of Skye lobster for our main course. The lobster arrived on two plates, simply presented (as is befitting an ingredient that speaks so well for itself) with only lemon and a whipped, flavoured butter. The tail meat was easily removed from the shell and the claw meat had been pre-shelled and presented inside the body. I would have been quite happy, I think, to eat a whole one, so succulent was the flesh, but we had instead ordered a number of side dishes, including broccoli that was spiced in such a way as to be reminiscent of Bombay mix snacks and crunchy sweet potato fries with a rich smoked paprika aioli. 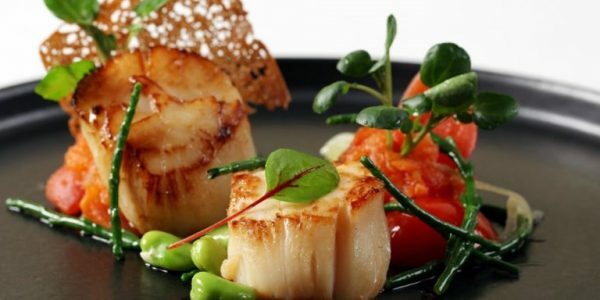 The accompanying wine choice, a Sancerre La Moussière 2012 by Alphonse Mellot, was another young wine, clean and light with a hint of elderflower among some tart gooseberry and lime notes that complemented the sweetness of the lobster. However, after some enthusiastic discussion with Aristoteles, we were also permitted to try a between course suggestion of Puligny Montrachet 1er Cru 2010 Champ Gain by Domaine Faiveley, which was to be enjoyed only after we had finished the lobster. This had the effect of creating a smooth butteriness on the palate and gave us a delicious transition to the cheese course. 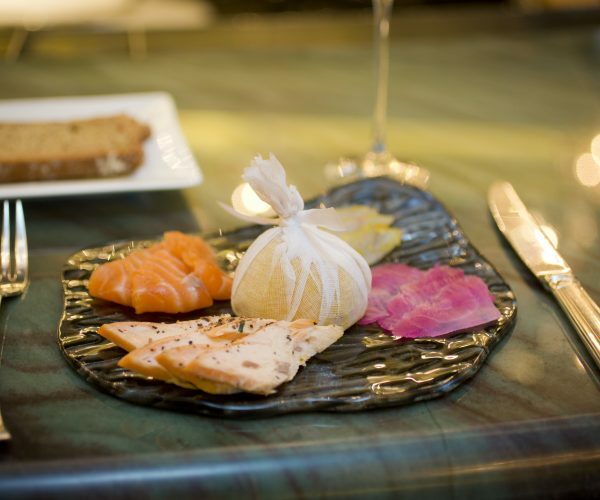 Kaspars has a cheese menu that divides the cheeses on offer into five groups that are sure to set the hearts of cheese lovers racing; delicate and delightful, oozy and gorgeous, the blues, crusty and elegant and stinky. 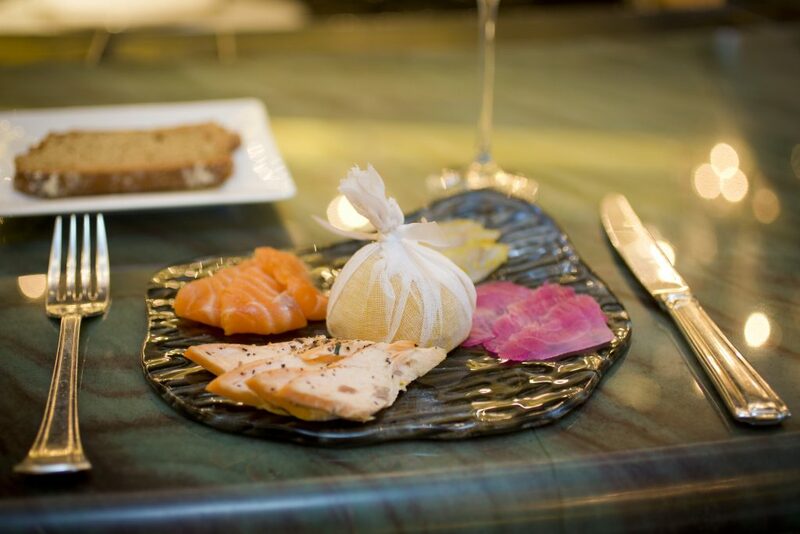 We selected five cheeses, including our all time favourite Epoisses de Bourgogne, a robust Isle of Mull cheddar and a creamy Dorstone Ash. 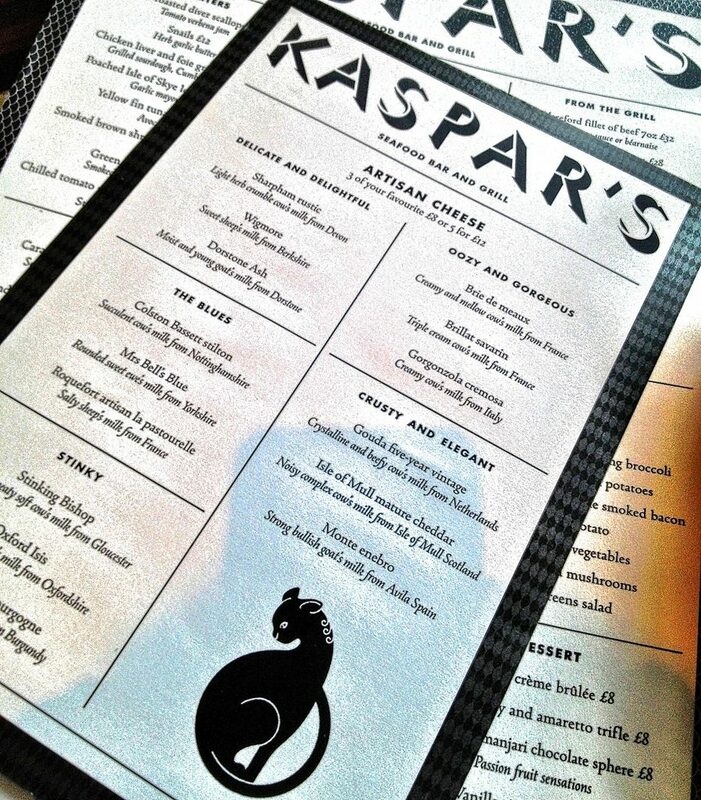 Unlike some restaurants, the bread at Kaspars is freely given and replenished (negating the necessity for repeatedly hailing a waiter with the bread tray as he disappears across the room) and the cheese was accompanied with fresh slices of baguette and dense, nutty soda bread. The wine was a Pio Cesare 2009 Barolo, which was a nicely balanced wine, with earthiness and tobacco flavours that developed in the mouth and that suited the simple combination of bread and cheese. Although I love cheese, I always feel that a meal that doesn’t end with a sweet is an incomplete meal, so we ordered the chocolate fondant with caramel ice cream and hazelnuts to share. After enjoying a glass of Dom Perignon 2004 to refresh our palates, we were presented with a substantial fondant, an elegant tuile and ice cream, brought into its own with another spectacular wine choice. This was an amazing, sweet Rocollo Grassi with a slight medicinal flavour and perfect richness. This wine does not appear on the menu and is a lesson to us all that an excellent sommelier, like Kaspar’s Aristoteles, should be trusted in his expertise and encouraged to be creative! 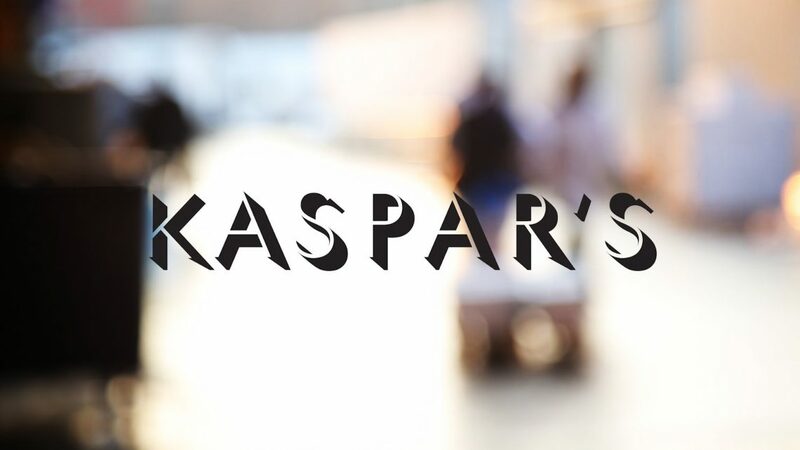 Kaspars is a wonderful restaurant that caters for the constant stream of illustrious hotel guests as well as those that stumble across it in finding themselves outside the iconic Savoy entrance. 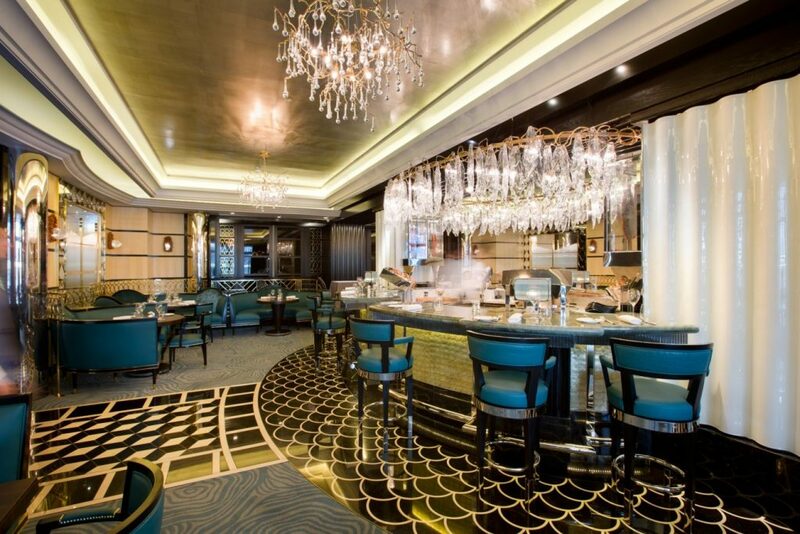 A pre-theatre menu is available for those heading to the West End and, for those with nowhere in particular to go, the hotel can provide further evening entertainment at one of the excellent cocktail bars. 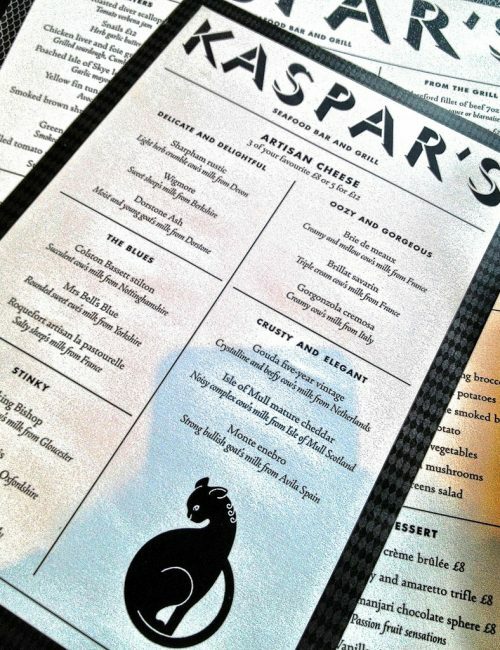 I am not sure if the sculpture of Kaspar is smiling, but I certainly left feeling like the cat that got the cream.